As the news breaks that apprenticeship starts are down by 26% – following the introduction of the Apprenticeship Levy in April 2017 – its clear that currently, the Government is falling a long way short of its target of 3 million apprenticeship starts by 2020. According to Department of Education statistics, 375,800 apprenticeships were started during the 2017/18 academic year, a fall of 24.1% on 2016/17 figures and down 26.2% on the number recorded in 2016/15. On paper, the Levy delivers good value. All businesses with a payroll over £3m per annum have to pay 0.5% of their wage bill towards funding apprenticeships, (employers get a £15,000 fixed annual allowance to offset against the levy payment). Once employers have registered for an apprenticeship service account, they can use that money, plus a 10% government contribution, on apprenticeships within their own organisation. For those sitting below the £3m payroll clause, the rule was originally that employers paid 10% of training costs, while the Government pitched in 90%. Recent reforms to the Levy now reduce employers training costs to 5% from April 2019, with the Government paying 95%. Those reforms have also allowed employers paying the Levy to invest up to 25% of their funds to support apprentices in their supply chain. The Levy – which was meant to boost the number of apprenticeships and improve the UK’s productivity record – has been hit with a number of set-backs, which has seen a staggering £2bn sitting unspent. With employers set to see their contributions disappear if they have not accessed them for training within two years of paying in, there’s not only a gaping black hole where it comes to apprenticeship starts, but levy paying businesses will soon see one when it comes to their contributions too. 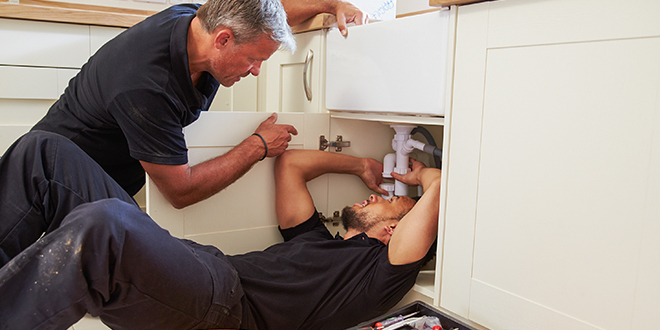 OFTEC Training Manager David Knipe comments: “It’s no secret that the heating industry, like so many other sectors, is suffering severe skills shortages. Record employment levels are contributing to an increasingly competitive recruitment market and the issue could be further exacerbated if immigration is restricted under the terms of Brexit. “Apprenticeships, particularly when almost wholly funded by government, offer an excellent way for business owners to recruit at low cost and develop the necessary skills within their companies to remain competitive and fuel growth. “From this month, the current surplus of funding available through the Levy will begin to disappear on a ‘use it or lose it basis’ so we are encouraging heating businesses to seriously consider this option. “As an industry we are in danger of a ‘generation gap’ as older, highly skilled technicians retire and there is currently not enough new people coming in to replace them. So, encouraging fresh talent into the sector is vital. “A career in the heating sector has always offered job security and this won’t change as even with technology advancing and diversifying, the basic need for heating and hot water will remain. A constantly evolving heating market also presents many opportunities for those technicians who are willing to continue learning.